On Wednesday evening, August 6, 2008, Dan Rezac and Scott Mowry appeared on the "Matthew & Friends with Suzanne Ward" show on the BBS Radio Network. 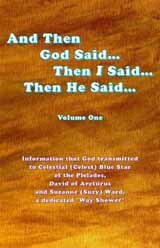 Suzanne Ward is the host of the show and the author of five books, including her latest, "And Then God Said...Then I Said...Then He Said...,: Volume 1," co-written with Celestial Bluestar and David of Acturus, which was released in 2008. Back on February 21, 2007, Dan and Scott were honored to be invited on Suzy Ward's second radio show on BBS and were delighted to be asked to make a return visit. "Matthew & Friends with Suzanne Ward" is web cast live on a monthly basis on Wednesday evenings, begging at 4 PM Pacific and 7 PM Eastern time. To hear Dan and Scott's appearance on this live web cast in its entirety, you can listen to a recording of the show by clicking the play button.